Our most luxurious cake; with the gooey texture of a brownie, this torte is matched perfectly with our delicious chocolate fudge ganache and is topped with fresh raspberries. Add your message to the Notes box at checkout. Please note that all of our cakes are baked fresh to order. Please allow min three days for production. 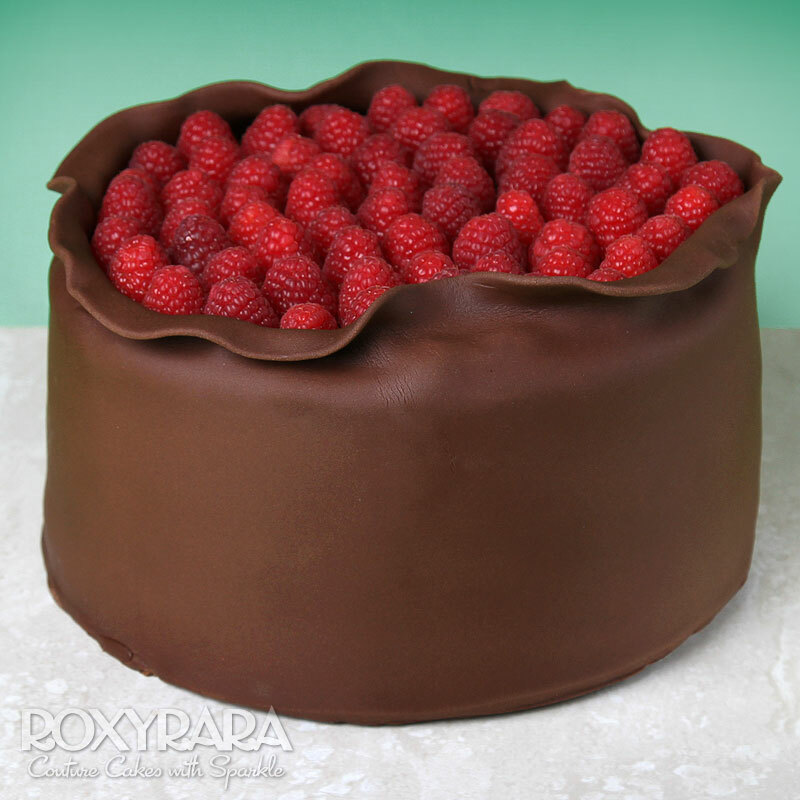 Our most luxurious cake; with the gooey texture of a brownie, this torte is matched perfectly with our delicious chocolate fudge ganache and is topped with fresh raspberries. A decadent treat for real chocolate lovers. Add a personalised message and a firework candle for the ultimate birthday cake! RoxyRara is based in the N1 post code area. Our delivery prices are based on travel time from this location and are broken down into postcode bands as shown below. Off Peak slots mean we can avoid the traffic and so give you a saving of £5 on your delivery. Peak time delivery slots are Mon-Fri 11am-2pm. Off peak delivery slots are Mon-Fri 6pm-9pm and Sat-Sun all day. See our Delivery Charges page for a map and further information. Our cakes are built tall so you'll get more slices out of each one! The table below shows the servings you can expect from each of our cake sizes. Of course, we won't tell anyone if you cut a bigger portion for yourself! © 2015-2019 RoxyRara. All Rights Reserved.